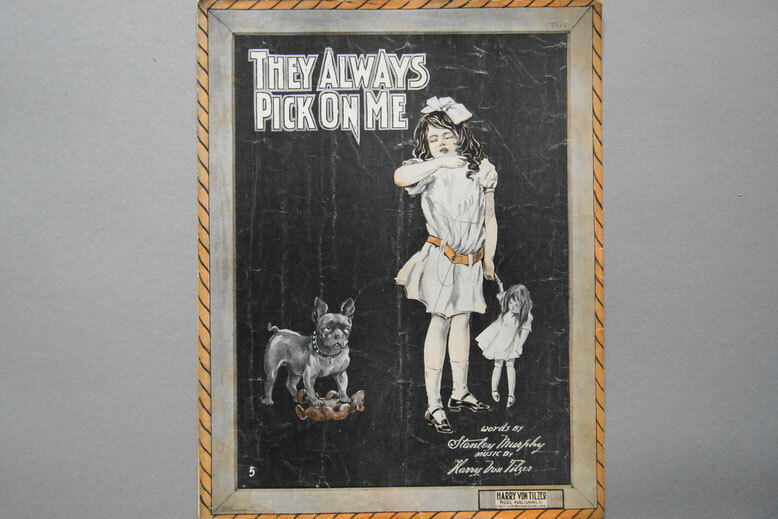 Titel: "They Always Pick On Me"
And I've been a stepchild ever since. They'll all be sorry that they picked on me. I think I'm losing something now. And Pa made me Cuckoo eight times more. In der Rubrik "Top Komponisten" gibt es weitere Hinweise über Harry von Tilzer.